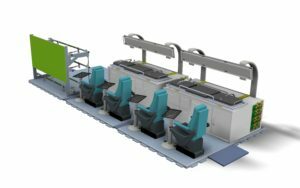 With preinstalled anchoring points in roof and floor a troop or even a cargo transport vehicle or vessel can be converted to a CASEVAC/Forward Evacuation unit within a minute saving critical time in the effort of saving the life of wounded people. 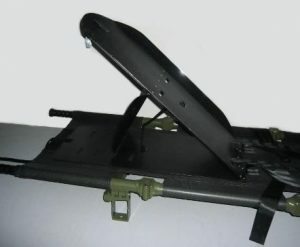 NODIN MEDEVAC stretcher with shock and vibration damped stretcher supports. 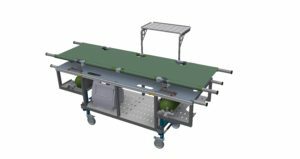 The CASEVAC Kit comprises the NODIN MEDEVAC Stretcher, two web strap supports for the rear of the stretcher and two shock and vibration damped stretcher support for the head end of the stretcher. The kit is packed in an EXPLORER case or a bag. 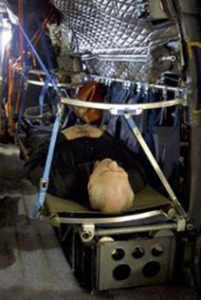 The MEDEVAC stretcher has 5+2 point harness, fire retardant canvas and designed in accordance with NATO STANAG 2040 as well as NATO STANAG 3204. The CASEVAC Kit can upon request be equipped with four shock and vibration damped stretcher supports. Shock and vibration damped stretcher support. 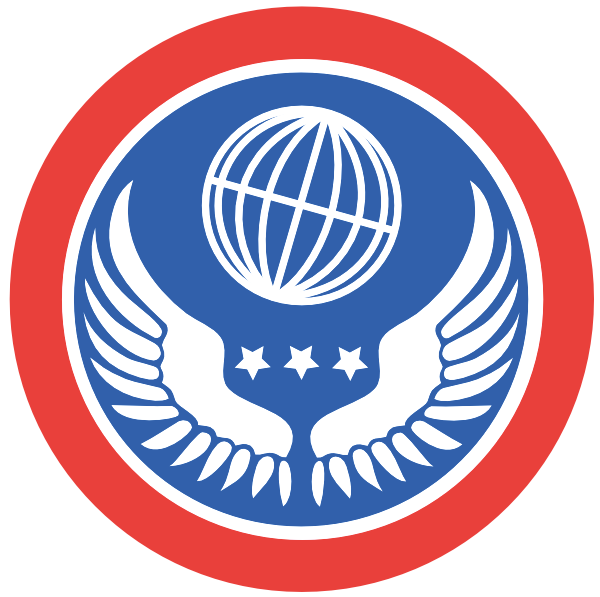 Low weight and low volume. 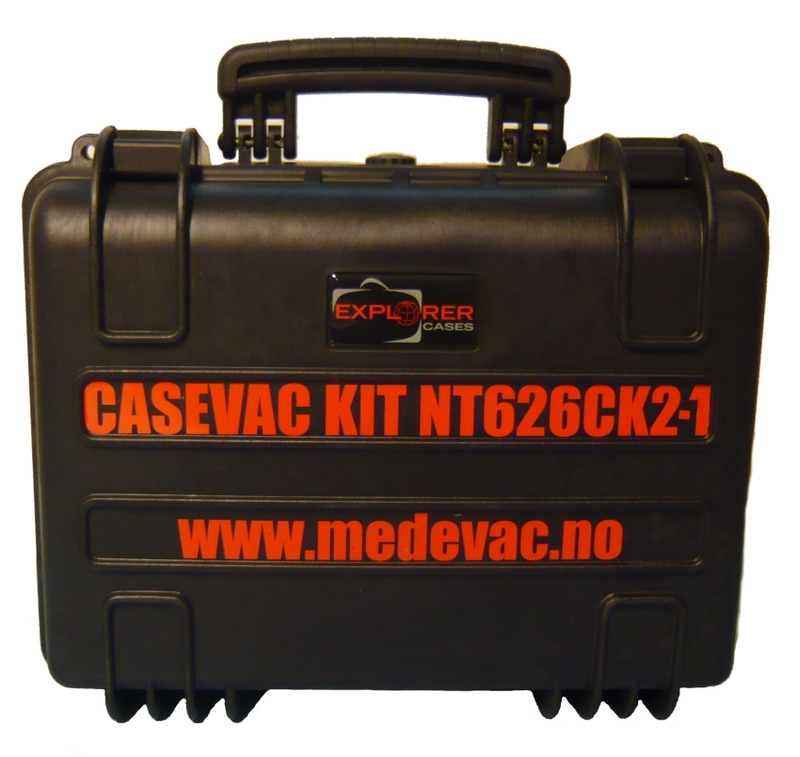 We deliver several different versions of the CASEVAC KIT. NT-626CK4-1: (NT = Nodin Design). NT-626CK4-1: (626 = the Shock Damper). NT-626CK4-1: (CK = Casevac Kit). 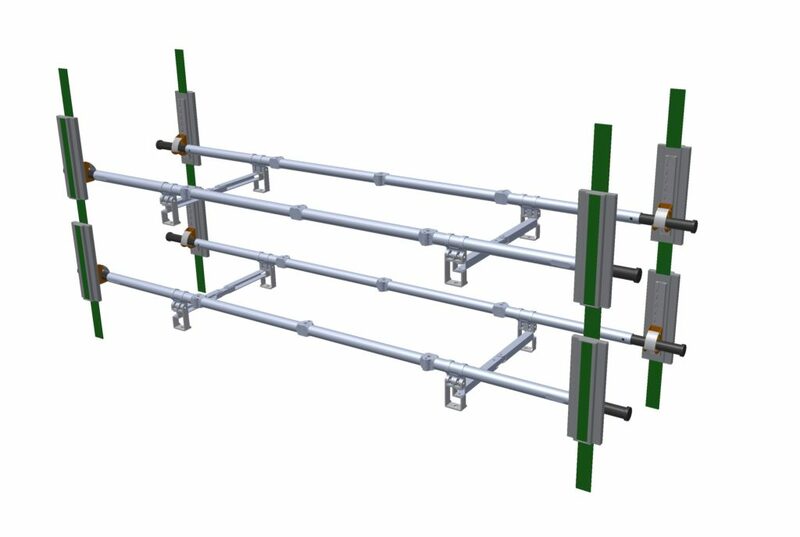 NT-626CK4-1: (4 = number of dampers per Stretcher). 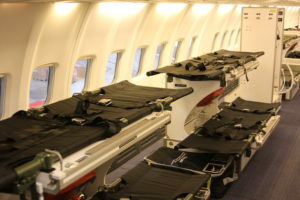 NT-626CK4-1: (1 = number of stretchers in the Casevac Kit/Rack). NT-626CK0-2: (0 = no dampers in the system – only adjustable hooks). 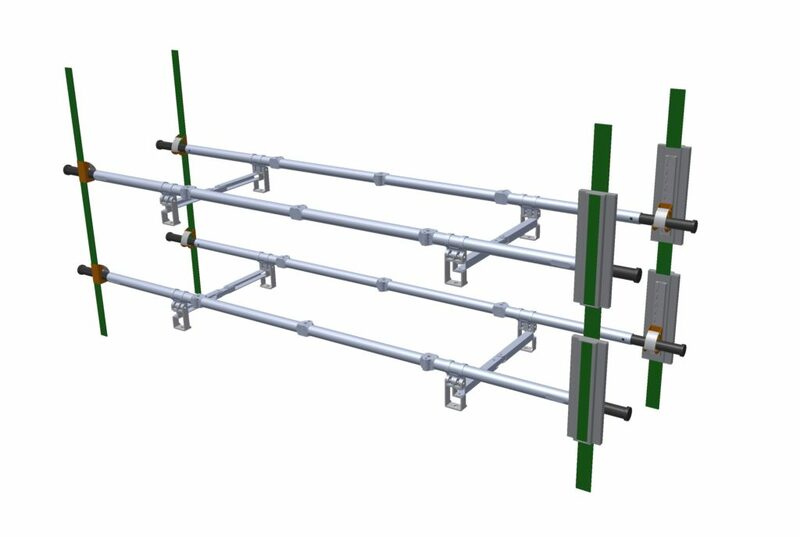 NT-626CK4-2 = Casevac Kit with four Dampers per Stretcher and two stretchers in the rack. 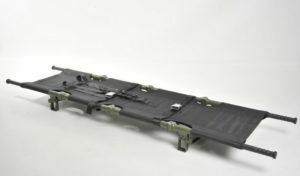 NT-626CK2-1 = Casevac Kit with two dampers in torso end of the Stretcher, and two non-dampening hooks in the foot end of the stretcher in a one Stretcher Casevac Kit. NT-626CK0-2 = Casevac Kit with no dampers – only adjustable hooks for 2 Stretchers. NT-626CK0-1, NT-626CK0-2, NT-626CK2-1, NT-626CK2-2 (Standard), NT-626CK4-1 and NT-626CK4-2. 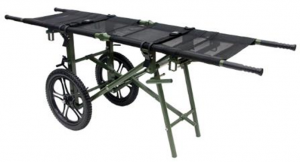 NODIN NATO 4-folded Field Stretcher is included as part of all versions of the Casevac Kit.